Provisional fiscal data on public finances for last year has shown that the government has collected some GH¢21.3 million in taxes from the implementation of the luxury vehicle tax between August and December 2018. The amount is GH¢82.7 million below the GH¢104million that was projected to be collected within the period as contained in the 2018 mid-year budget review. The law imposing the annual tax on vehicles with high capacity engines started August 1, 2018. According to the GRA, the tax affects vehicles with engine capacity of 2950 Cubic Centimeters and more, and that the Driver and Vehicle Licensing Authority (DVLA) is the authorized body to collect the levy ranging from GHȻ1,000 to GHȻ2,000 on behalf of Government. A statement issued by the Commissioner-General of the GRA said with effect from Wednesday, 1st August, 2018, the levy shall be paid on the registration of vehicles and subsequently on or before the annual renewal of the roadworthy certificate of such vehicles, with engine capacities listed above. 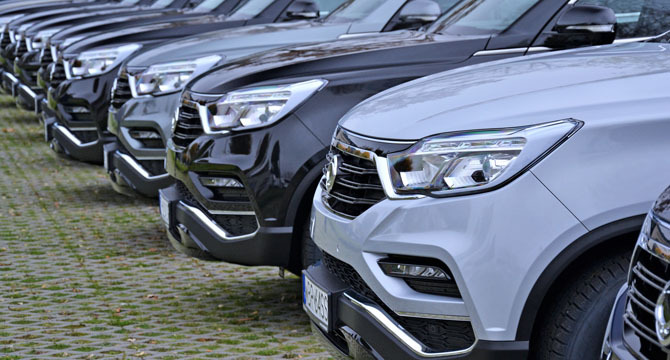 Meanwhile, a coalition of car dealers and owners on Thursday March 7, 2019 staged a demonstration against the luxury vehicle tax in Accra. The protesters include car dealers, spare parts dealers among others from associations like the Vehicle and Asset Dealers Association (VADA), the National Concerned Spare Parts Dealers Association (NCSPDA), True Drivers Union (TDU), and Concerned Drivers Association (CDA).